Rovaniemi - Tiistaina taivas on ja pysyy käytännössä pilvettömänä. weather.info offers current weather data, local weather forecasts and more useful information about weather. With the help of our high-resolution weather radar and current severe weather warnings nasty surprises will belong to the past. The climate in the UK is generally dominated by the moist, temperate maritime air currents from the Atlantic and its Gulf Stream. Though being positioned at the same latitude like Canada the UK benefits from a much milder climate with hardly any extremes in temperature. Autumn and winter are very unsettled. September till January are the wettest months with an average of close to 20 days with rain a month. The regional contrasts are huge: The Scottish Highlands for instance get almost three times as much precipitation as the Lowlands. The driest county is Kent with approximetly 600mm of rain a year. Also the strongest winds occur during autumn and winter, while the west coast and the mountain regions are windier than east coast. The East and the Scottish Highlands experience most snowfall. Towards the end of winter the Atlantic cools off, leading to slightly calmer, more stable weather. Winds cease and rain occurs less often. Summers are relatively dry, but still some heavy downpours or thunderstorms must be taken into account. 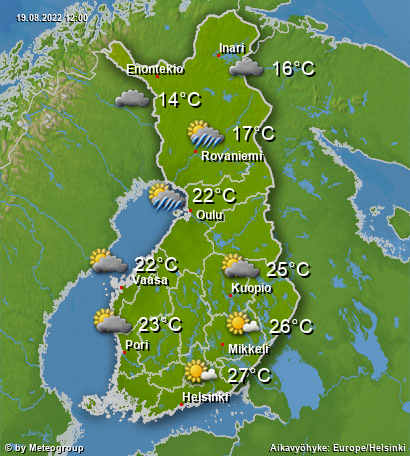 Highs are mostly between 18 and 23°C between June and August, only occasionally temperatures rise above 30°C. Sunniest spots can be found along the southern coast between Cornwall and Kent, where the highest temperature on record has been measured so far: 38.5°C.